Never the less, much of the information is still relevant. Beware, however, that some of the command syntax is from older versions, and thus may no longer work as expected. Also: external links, from external sources, inside these pages may no longer function. Local Councils, Counties and Regions follow a well defined order of hierarchy. For administrative purposes Italy is subdivided into Regions; Regions are subdivided into Counties; and Counties are subdivided into Local Councils. Important notice: the ISTAT 2001 census dataset isn't well suited for this task, because it is plagued by several topology inconsistencies. We'll use instead the latest ISTAT 2010 dataset, presenting a much better quality and consistency. 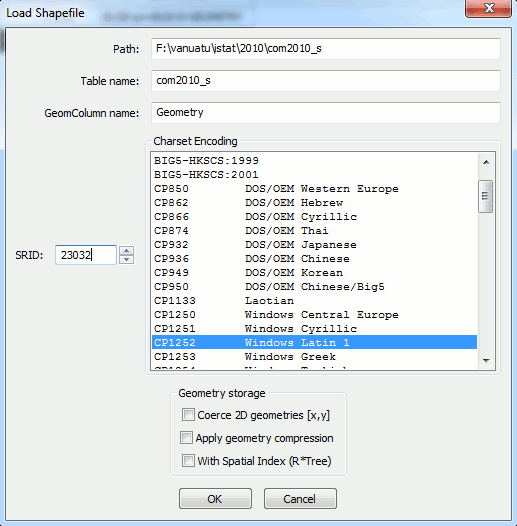 You'll start creating a new DB; then using spatialite_gui you'll import the com2010_s shapefile. The next step is the one to load the prov2010_s dataset: yes, this one too actually is a shapefile. But for your specific purposes you can ignore at all Counties Geometries. (generating all them by yourself is the specific task assigned to you this time, isn't ?). You can simply import the corresponding .DBF file, so to import any data but discarding and ignoring at all related Geometries. Then you can import the Regions .DBF file from reg2010_s. exactly in the same way. This will create the local_councils VIEW; this VIEW represents a nicely de-normalized flat table, so to make any subsequent activity absolutely painless. the ST_Union() SQL Spatial function is used to aggregate / merge Geometries. by defining a GROUP BY cod_pro clause then ST_Union() will work as an aggregate function, thus effectively building the Geometry representation corresponding to each single County. please note well: you must absolutely call RecoverGeometryColumn() so to properly register the counties.geometry column into the geometry_columns metadata	table. 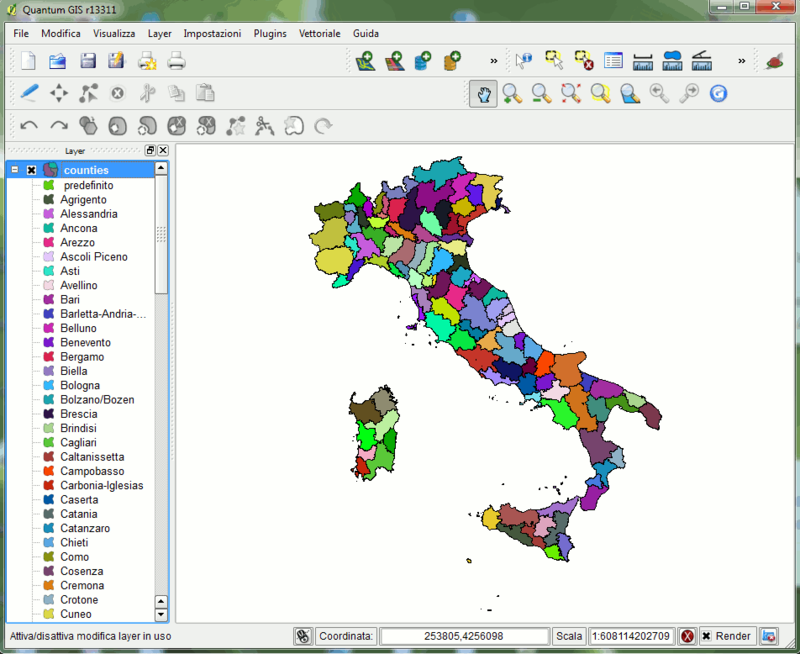 And then you are ready to display the counties map layer using QGIS. as in the previous step you'll use ST_Union() and GROUP BY to aggregate regions Geometries. please note well: in this example you have explicitly created the regions table, then using AddGeometryColumn() so to create the regions.geometry column. And finally you have used INSERT INTO ... (...) SELECT ... in order to populate the table. The procedure is different, but the final result is exactly the same one as in the previous example. 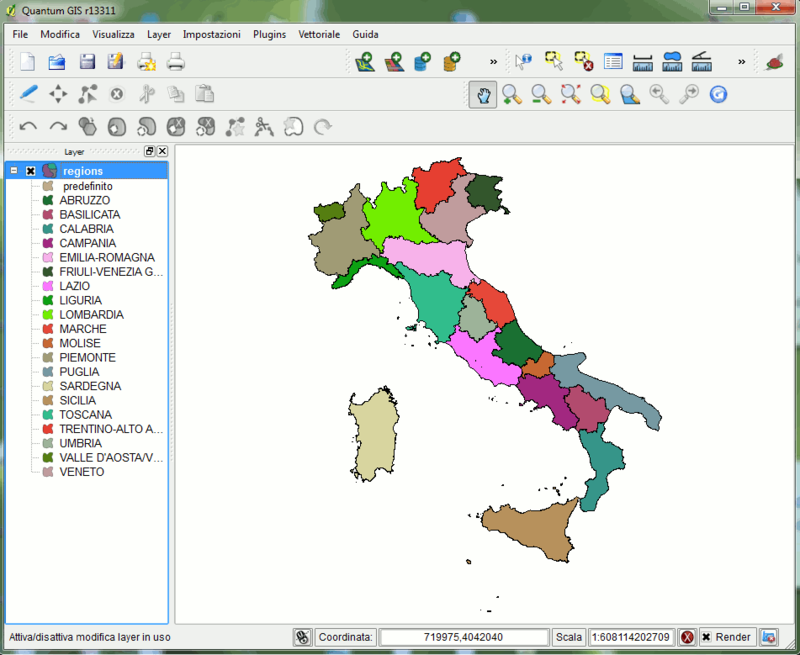 And then you can display the regions map layer using QGIS. As a final step you can now create the italy table representing the whole Italian Republic international boundaries. Then you can display the italy map layer using QGIS … and that's all. This work is licensed under the Attribution-ShareAlike 3.0 Unported (CC BY-SA 3.0) license.